Joseph Highmore (1692-1780), Painter. Artist associated with 54 portraits. Aged nineteen, Sandwich made an intrepid Grand Tour to Italy, Greece, Turkey and Egypt. 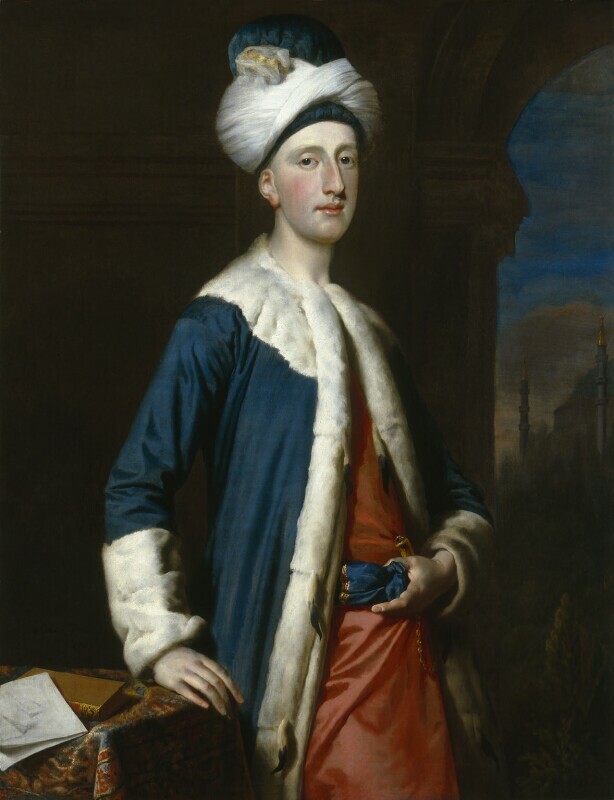 This portrait celebrates his adventure and shows him wearing the exotic fur-lined costume - complete with turban and dagger - that he had adopted when travelling in the East. His experiences and interests are seen in the view of Istanbul's Haghia Sophia and the drawing of the Pyramids on the table.